Fellow Grenadian sisters and brothers. I want to talk to you about the future of our beloved country and about what defines us as a nation. I also want to talk about being reasonable and fair, and ensuring social justice for all. These are the things at the core of this ongoing debate about the advanced payment of pensions. While I am Prime Minister at this time, this issue is bigger than me. It is also bigger than the current leaders of the trade unions and staff associations involved in this impasse. But, as leaders, the one thing we may have in common, is that we are all from working-class backgrounds, with an appreciation of people’s yearning for both empowerment and development. We may debate how we achieve this goal, but that debate must never degenerate into meanness, disingenuity nor the need to score cheap populist points. This is not in the long-term interest of the country. And in this debate also, we must not only listen to the people with the loudest voices; but crucially – the people with no voice at all. There is the young man who is still without a job; the single mother hoping for a chance to keep her dignity; the part-time worker with no security and no benefits; the now long-retired elder whose economic circumstances has forced them into homes for the elderly. Ultimately, sisters and brothers, we will be judged by the fight we fight for the least among us – those without the power or the confidence to champion their own worthy cause; those without the will or the connections to incite. For a nation would not be worthy to hang on to its soul, if we do not take into consideration the most vulnerable among us; nor the interest of the generation to come, in every decision that we make. Sisters and brothers, that’s why, together as a people, we must have a discussion in the context of what is both reasonable and fair and what is just for all the citizens of this beautiful country. And so – you may ask yourself – what is reasonable? Two years ago, this government, through its own initiative, felt it was reasonable that public servants, like workers everywhere, should have a pension that can provide for their daily needs when they retire. It was a moral and philosophical position we took, understanding that the restoration and reformation of pension, as desirable as it is, was not necessarily an easy thing and that it must be affordable and sustainable over the long term. For over 35 years – an entire generation ago – there was no pension for public servants except through the National Insurance Scheme (NIS). Sisters and brothers, successive governments failed to tackle the issue – not because any of them were insensitive to the cause – but because it was extremely difficult to do. Even the very trade unions, that are now inflexible in their demands, did not tackle this issue. Herbert Blaize, Ben Jones, Nicholas Brathwaite, George Brizan, Tillman Thomas and myself in previous terms – all failed to get that job done. Let us fast-forward to 2018. Government, fully cognisant that NIS alone is not sufficient to give public officers an affordable quality of life, entered into a Memorandum of Understanding with the public sector trade unions and staff associations, to guarantee workers a pension of at least 70%, which is far more than what currently obtains. Sisters and brothers, this Memorandum of Understanding, in principle ushered in the reformation of pensions, pending all final agreements, achieved through negotiations. Fellow Grenadians – here is the truth. Government and the trade unions have agreed on a formula, which states that each public officer will retire with a pension that is not less than 70% of their last salary. The widely spewed narrative that government has somehow gone back on an understanding, outlined in the MOU, is fake news generated by mischief-makers. Government remains fully committed to ensuring that public officers receive a pension of at least 70% of their last salary. The outstanding issue about pension reform and what is at the heart of the current impasse, is whether and to what extent, government can afford an upfront loan to retiring public officers, that is, an advanced payment of pension, what is referred to as gratuity. Whatever the size of that loan or advanced payment, that is agreed upon by government and trade unions and staff associations, deductions will be taken out later from the monthly pension payments to repay that loan. Another fact to know – whatever the final loan size and the schedule for repayment – at the end of the period – workers will receive ALL pensions due to them, which as we have agreed is at least 70% of their last salary. Therefore sisters and brothers, the suggestion that government’s inability to give a 25% loan as an advanced payment of pension, means that workers will lose, is also false. Sisters and brothers, I assure you, government is committed to the pension arrangement, and to pay the full agreed amount. Additionally, the suggestion that there is a law somewhere that dictates that government must pay 25% upfront as an advanced pension payment or gratuity, is also false. In fact, if such a law exists now, the most appropriate course of action would be for the disputing parties to challenge it in court. Here’s another fact sisters and brothers – there was no breakdown in the ongoing negotiations on pension reform. In the negotiations which involved 3 trade unions and 3 staff associations, the Grenada Union of Teachers (GUT) unilaterally walked out on the bargaining process and prematurely called a strike, without going through the accepted process of arbitration, provided for in the Labour Relations Act. The action was both unfortunate and disappointing, and spoke to a level of arbitrariness that quite frankly, took our negotiating team by surprise. In the spirit of trade unionism, the other unions decided to stand in solidarity with GUT. Through all of this, government has consistently voiced a willingness to re-open dialogue – and in every instance, we have offered to do so unconditionally. On the other hand, some representing the trade unions have consistently shown that they are more wired for war, than a peaceful settlement. The discussions on Friday, 23 November were a case in point. Some proposals were put on the table. The government’s negotiating team stated that a response will be provided Monday after Cabinet has had an opportunity to review. Mere hours later, one union declared 3 more days of strike. Sisters and brothers, this did not show good faith, a premise on which negotiations are conducted. We admire and understand the role of trade unions and the desire to fight for their members. Rightfully, that’s their mandate as a bargaining agent representing their membership. Sisters and brothers, this right brings with it a serious responsibility – a responsibility of leaders to lead on issues that confront members in openness, truthfulness and genuineness, with regard to objective facts and realities. That being said, trade unions must in turn appreciate that government has a broader mandate which is to fight to protect all workers – those who are represented by trade unions and those who are not. Government must also fight to protect the weak and the vulnerable. In short, government must provide social justice for all, not only a select group of persons. There is one national pie and it is government’s duty to share it among all its citizens – not just those who work in the public service. Sisters and brothers, government cannot accede to the demands for 25% gratuity in the current construct because it means that we will have to find an average of about $21 million annually, for what is, in effect, a loan to public sector workers, who have been employed in the period post 22 February 1985 and 31 December 2018. Sisters and brothers, it must be noted that the figure of $21 million does not include what will have to be allocated for the so-called unestablished workers who are not confirmed to an established position. Now when we come to negotiate for these other workers that figure will balloon into an even larger amount which will further undermine government’s ability to pay, bearing in mind that there are many others depending on us for social justice. Understanding all this – it brings us to the point of what is fair. Government’s position is that it is neither reasonable nor fair to make such a demand for a huge loan up front, and to be inflexible with it – knowing that such a payment could lead to possible job loses; cuts in services or the imposition of new taxes, impacts that will inevitably reach the wider population. None of these scenarios will benefit anyone and contravenes government’s commitment to provide social justice for all, including the public officers who will get an advanced pension payment, only to have it snatched from them through the fiscal measures that will become necessary to support the very payment. But sisters and brothers, there is an even greater repercussion. Such a huge payment at this time will put government in breach of the Fiscal Responsibility Act; it will stop us getting almost $100 million from international agencies to invest in our country and its people. It will also throw all the sacrifices, made by all Grenadians in the last few years, down the drain. It will plunge the country into economic crisis. It will create hardships for the people seeking housing assistance, part-time jobs, assistance with tuition and other academic expenses; the Imani trainees; people who depend on social services including our elders who have served their country well. Sisters and brothers, how can that be socially just? Government will be grossly irresponsible if it accedes to such a request which will create more problems, with more negative long-lasting effects. Sisters and brothers, that is why we appeal to people’s collective sense of reasonableness and fairness; to a sense of patriotism from the trade union leaders – who have every right to fight for their members – but must not forget the parents of the children they teach; their friends in the community they play ball with; their old grand aunt. If anything, Grenadian history has taught us that manufactured strife, fuelled by an unwillingness to compromise, always hurts the weakest among us; and sets all of us back. Trade unions must be aware that they are not dealing with a dispute concerning employees in the private sector. The workers who they are bringing out to strike are teachers, nurses, caregivers and persons who provide various government services. These people do not work to provide a profit to their employer. These people work to ensure the greater public good. They give their services so that everyone, especially the children, will be protected and their interests promoted to ensure a better future. Trade unions must act responsibly. They must bear in mind the invaluable services these people perform and who the people who benefit from these very services. Therefore sisters and brothers, when it comes to the public service workers, there has to be a different threshold which must be crossed before trade unions call for such drastic action to be taken. A responsible trade union must employ every dispute resolution mechanism available before taking strike action. It must be prepared to engage and engage in a responsible and flexible manner. We sincerely hope that the trade unions will see the good sense of this approach in the interest of the people of Grenada, Carriacou and Petite Martinique. Government is committed to protecting the public interest – to have our hospitals functioning so that healthcare can be provided and lives may be protected and saved. We are committed to ensuring that schools resume normalcy and that the education of our children is not jeopardised. We are committed to the public service resuming normalcy and we are committed to working towards securing the future of all Grenadians, Carriacouans and Petite Martiniquans. There are mechanisms available for the resolution of the present dispute. The trade unions have stayed away from that, preferring to hold the children and the people of this country hostage, with the ransom being an unaffordable and unsustainable loan or advanced payment of pension. This action cannot be reasonable; it cannot be fair. Government’s many efforts have been rebuffed in the last 2 weeks with increasing belligerence. 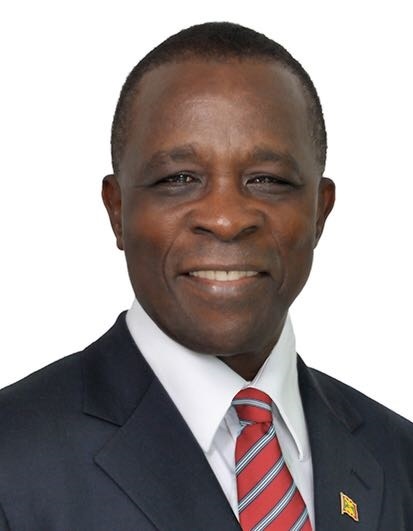 Government has continuously expressed a desire to resolve the impasse, a willingness to negotiate at the bargaining table but there must be a similar willingness by the trade unions to return to the table they walked out on and find a solution in the best interest of all of Grenada, Carriacou and Petite Martinique. Sisters and brothers, it is easy to sound the bells of war but we must answer to a higher calling – to sing the songs of peace. To safeguard the interests of the nation’s children, would we have to set aside pension reform altogether? We genuinely see a need for reform but it cannot be at the expense of the country’s progress or at the expense of our children’s education. As it stands now, the nation’s children have lost 2 weeks of classroom time in which they would have had valuable instruction from their teachers. Time lost can never be regained but sisters and brothers, if this industrial action continues, Government is proposing to have learning centres established across the country to provide this critical face to face instruction time for our students, the future of our country. Further, sisters and brothers, my Cabinet colleagues and I, most of whom are former teachers, have all agreed that we will visit these centres to teach our students. Sisters and brothers, as a former professor, I am prepared to teach Mathematics to our children. Minister Gregory Bowen will teach Mathematics and Physics; Minister Oliver Joseph will teach Economics. Minister Pamela Moses is a former English teacher and she is willing to teach again. Minister Kate Lewis spent more than 17 years teaching, she is prepared to teach Principles of Business, Accounts and Office Administration again. Minister Kindra Mathurine Stewart taught History, Social Studies and English Literature, she is prepared to teach the children of Carriacou again. Minister Clarice Modeste-Curwen taught English and Science; Minister Emmalin Pierre and Minister Delma Thomas taught at the primary level and they too are ready and willing to teach again. Cabinet members who are not teachers are also prepared to assist in these learning centres to ensure that the interests of our students are well served. We are all prepared to sacrifice our time because we simply cannot allow our children to lose any further, their future is at stake, the future of this country is at stake. We all must listen to the voices of reason that are out there – the leaders of civil society; the business community; our religious leaders. Sisters and brothers, despite the existing tension in the industrial climate, as Prime Minister, I remain optimistic about the future of Grenada, Carriacou and Petite Martinique. I am filled with renewed hope for this country, as the vast majority of Grenadians have resisted rancour, and applied reason. This hope is based on the public officers who continue to dutifully show up to work; the medical professionals who have refused to compromise the care of citizens and visitors alike; the teachers who continue to help the students – many of them preparing for examinations; the parents and the students who rejected outside agitation. We particularly salute the increasing number of teachers who showed up to work today, and who are, by their actions, signalling to their union leaders to return to good-faith negotiations. On behalf of the people with smaller voices – or no voice at all – we are grateful. As a government, we are committed to the workers’ cause. We won’t avoid taking difficult decisions, but we promise to be reasonable and fair. That’s the least we can promise you; and this is the only thing we will ask of all concerned. May God bless you – and may God bless this Beautiful Nation of Grenada, Carriacou and Petite Martinique.